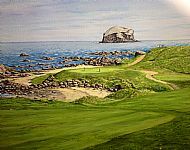 The artist, Derek A O Wood, who hails from Balintore, Easter Ross in the Highlands of Scotland, was born in 1954. 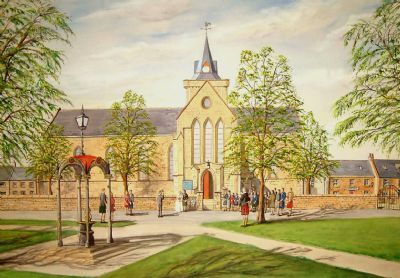 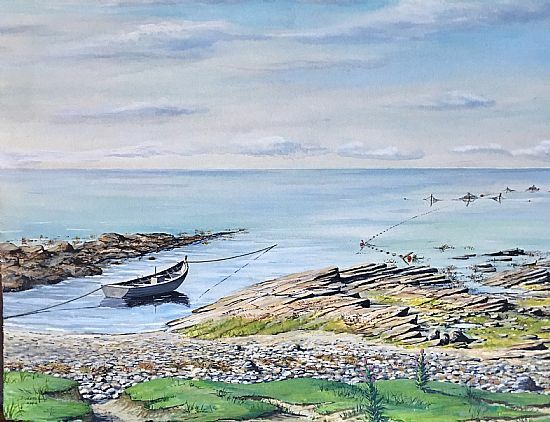 Although he had options to attend Robert Gordon's Art College on leaving school he trained as a maritime joiner, then through the oil boom years he progressed to operating heavy cranes, however his artistic nature never left him and he became an accomplished watercolourist. 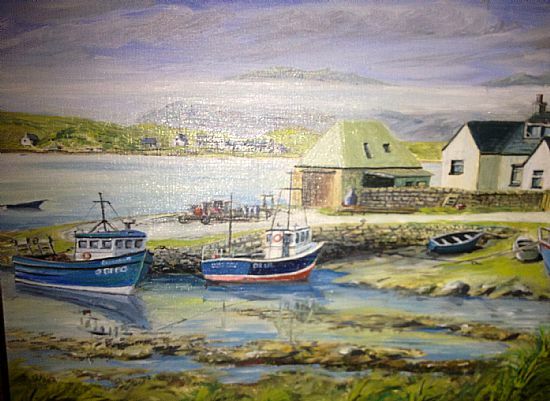 Friends encouraged him to pursue this new path and commissions started to come in. 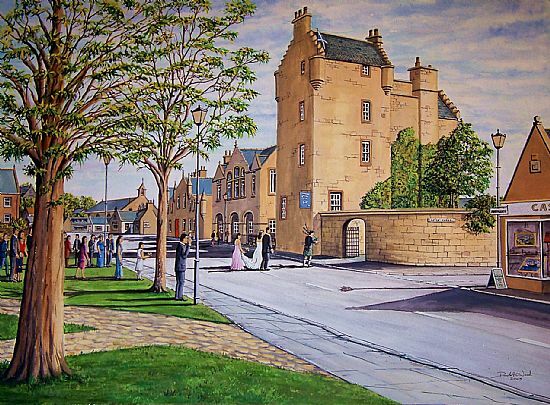 Before long his efforts could be seen hanging in local shops and hotels. 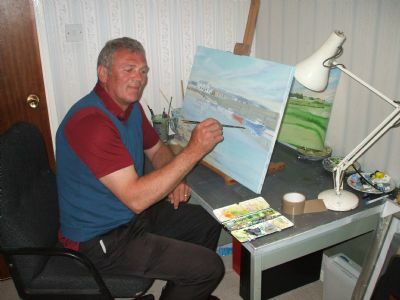 Recently Derek has moved to a new house with a dedicated art studio which allows him to relax and paint after coming home from work. 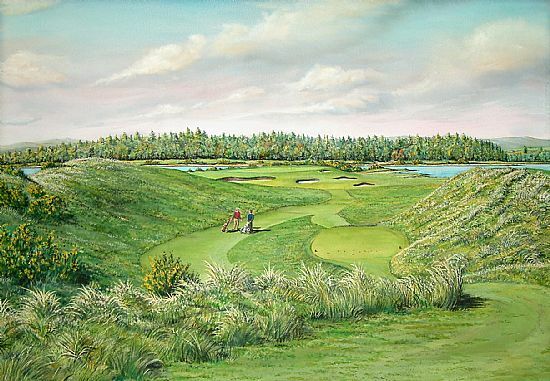 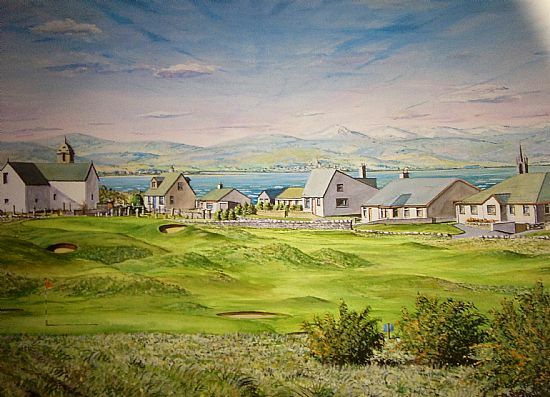 Earlier this year Highland Links were approached by an art gallery responsible for showing art at the 2008 Scottish Open at the world famous Loch Lomond Golf Club. 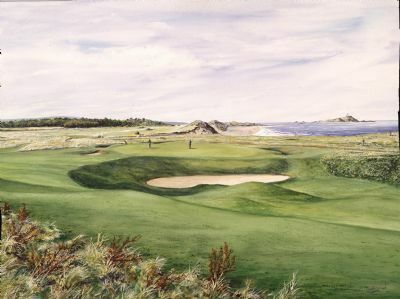 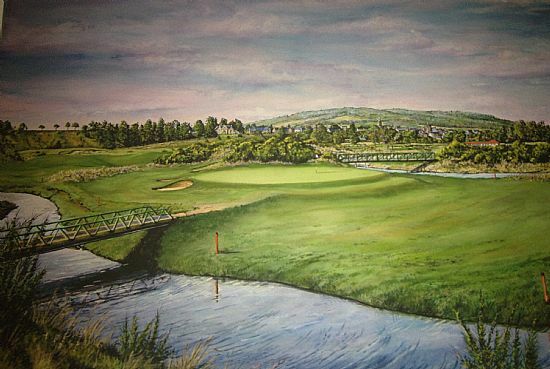 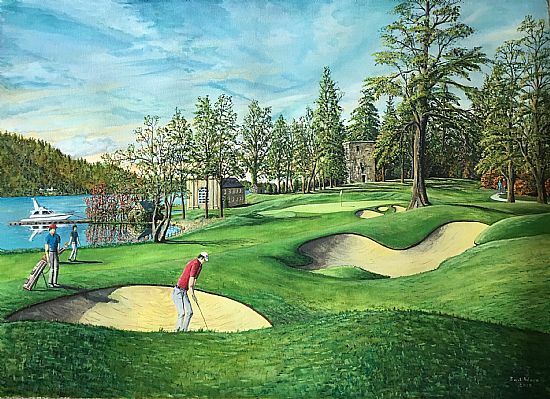 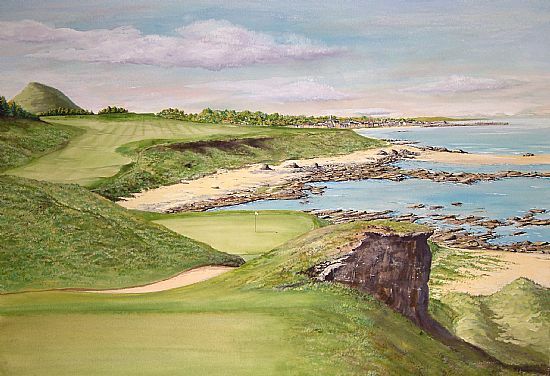 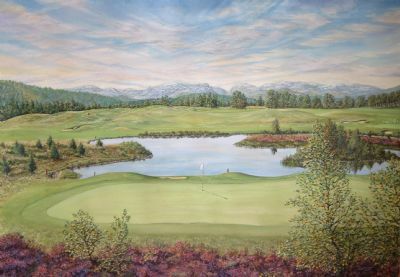 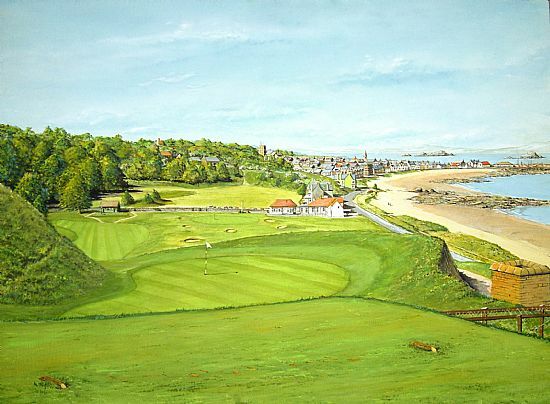 Derek has since completed two stunning paintings of the course which will be on display during the competition.